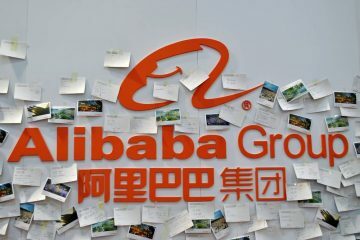 Alibaba.com, one of the world’s largest online B2B marketplaces and the official international business arm of the Alibaba Group, fully acquired crowdsourced translation provider 365Fanyi during the latter half of August 2015. An initial strategic partnership between the two entities was agreed upon last April, but now Alibaba has acquired its partner for an undisclosed amount in a bid to boost the cross-border ecommerce initiatives of several of the Alibaba Group’s companies. 365Fanyi provides crowdsourced translations to clientele through a cloud-based platform leveraging turnaround speed as one of its key differentiators. Its system allocates translation tasks to either the company’s team of professional translators or a network of freelance workers based on their areas of expertise, then the translations are checked by others in the system ensuring quality control. The service is said to be available 24/7 and claims turnaround times of just 30 minutes. The Alibaba Group’s Alibaba.com, Tmall Global, and AliExpress are among the companies that would reportedly benefit the most from the acquisition, which is among the most recent in a long-term international strategy of supporting small to medium enterprises globally. “Alibaba Group was founded in China but created for the world. We want to connect small businesses in the West with the largest, fastest-growing market in the East,” said Alibaba Founder and Executive Chairman Jack Ma in an article. “We’ve already seen some early cross-border successes,” Ma continued, citing a 2013 effort where farmers from Pacific Northwest sold China 180 tons of cherries via Alibaba’s platform. The small, tuck-in acquisition of 365Fanyi may be an accretive deal helping facilitate more cross-border e-commerce transactions in that scale, now that Alibaba’s translation group can leverage the crowdsourced platform to reduce language barriers. Alibaba broke worldwide initial public offering (IPO) records in 2014 when its IPO breached USD 25bn, instantly propelling Ma into the top ten richest men in the world and richest man in China before being dethroned recently. Alibaba recorded total revenues of RMB 76.2bn (USD 11.9bn) in the year ending in March 31, 2015.